What started out as a desire to pay other children's lunch debt at my son's school so no child would be excluded from field day, has morphed into an effort to assist all 44 Buncombe County Schools. Please understand, we encourange those who can pay off their child's debt to do so. This campaign aims to bridge the gap between those who qualify for free/reduced lunch and those who may not and are still unable to afford to pay for their child's meal at school. We are not trying to demonize any individual administrators, but outraged at the tactic being used to collect student debt by some Buncombe County schools. The decision to use the tactic of punishing a child to collect a parental debt is our main concern. This action shames children for situations beyond their control. We've done some research and realized these types of campaigns are being started all over the country. New Mexico has recently passed an anti lunch shaming law. They have made it their policy to keep lunch debt discussions solely between the school and the parent. 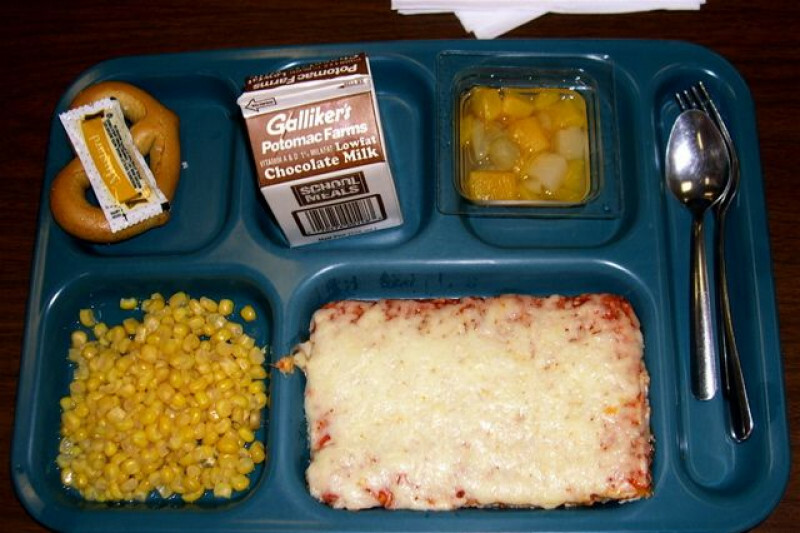 New Mexico schools are no longer allowed to punish or shame individual children for lunch debt. The responsibility of payment falls only on the adults. Please email us if you'd like to help us address the issue beyond this gofundme campaign. We realize this is an ongoing issue and want to work with the community and Buncombe County Schools to ensure that all kids get fed and all kids have fun! **This has campaign is not being run by BCS or its affiliate schools. This will be our final update, but that doesn't mean we're going away! With your help, we've raised $6913 dollars in 21 days. Thank you to all who donated, shared and took an interest in this campaign. We donated $250 to Haw Creek Elementary Library, as their lunch debt was cleared by field day. The rest was given to Buncombe County Child Nutrition. There are many families who benefited from this effort. We will continue to advocate for anti lunch shaming and equity in schools. Per USDA guidelines, Buncombe County Schools has to have a written policy regarding collection of lunch debt by July 1st, . We will be working towards the inclusion of anti lunch shaming language so that this situation can be avoided in the future. We are also partnering with local non profits, mainly through volunteer work, to learn more about anti hunger efforts in Buncombe County. Please visit our Facebook page to stay informed and get involved! Here's a link to free summer meals in Buncombe County and around the country. All children under 18 are welcome at any site! A Link for free & reduced lunch in North Carolina. Thank you again for helping out kids in Buncombe County! Just a quick update to say that we have created End Lunch Shaming Facebook page Please like, follow, and share! This update serves the purpose of ensuring transparency in the distribution of the funds we've raised for this campaign. Please forgive any redundancy, since we need to have all of this information in one update. My name is Karina Barnes and I am a resident of Asheville, NC. I have two children enrolled in the Buncombe County School system. The money raised will be used to first pay off any outstanding lunch debt at Haw Creek Elementary, with the remainder going to Buncombe County Child Nutrition (BCCN). As of May 31, 2017 the cafeteria debt at Haw Creek Elementary is $202.80. BCCN is in charge of all 44 Buncombe County School cafeterias. Per the head of BCCN, student accounts with the highest debt will be paid off first and they will work their way down until all the funds are used. We are fortunate to have the help of a local church, Trinity Presbyterian in East Asheville, with the upcoming withdrawal and distribution of funds. All money currently donated to this Go Fund Me campaign will be transferred to Trinity and they will in turn write checks for the total collected. The money will not pass through any other persons or entities. I know you've all been anxiously waiting to know how we're getting this money where it needs to go and we appreciate your patience and support. We're not there yet, so please continue to share this campaign and raise funds! We're a week in & still going strong! Thanks to everyone who has donated or shared. The community is really coming together to help our students! We have heard back from Buncombe County School Nutrition and they are ready to start accepting funds from this campaign. We're partnering with Trinity Presbyterian in East Asheville to accept the GFM money and write a check to BCS Nutrition to start paying down buncombe county schools lunch debt. Our main objective is to raise money for student lunch debt and to come together as a community to say "no" to all school "shaming practices" to collect debt. Whether it is by threat of exclusion from a school activity or by giving children an "alternative" meal to the standard fare, the conversation about lunch debt needs to remain between the adults. For those of you who don't know me, I thought I'd give you a little back story. I have two kids that attend Buncombe County Schools. My oldest is a junior at AC Reynolds High School. She started kindergarten at Haw Creek in 2005 and is now only a year away from flying the coop. My youngest is currently in kindergarten at Haw Creek and we look forward to going through the whole process again! We've had very few issues with BCS during the last 12 years. So we were surprised when what we perceived as a harsh shaming practice was introduced at the end of the school year. Our aim is not to demonize the school or administration, but simply to ensure that the compassionate environment that we've helped to foster won't be set aside. Links to articles addressing the lunch shaming issue on a state and national level.